WINONA, MINN., USA — New ultra durable polyamide composite materials have been introduced by PlastiComp, Inc. Complēt® MT maximum toughness long fiber (LFT) polyamides have equivalent strength to industry standard LFT polyamides yet are extremely tough with up to twice as much resistance to impact forces as the standard materials. Reinforced with long glass fiber up to 60% by weight, Complēt MT composites also offer outstanding injection molding processing characteristics capable of producing complex geometries having thin wall sections. 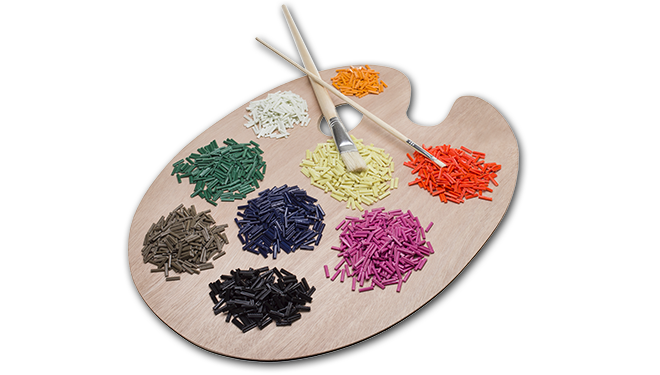 These materials are colorable and therefore also suitable for structural applications having aesthetic requirements. Commercial applications include performance sporting goods, consumer durables, and heavy appliances. Standard LFT and enhanced Complēt MT polyamides exhibit improved impact resistance with increasing fiber loading. 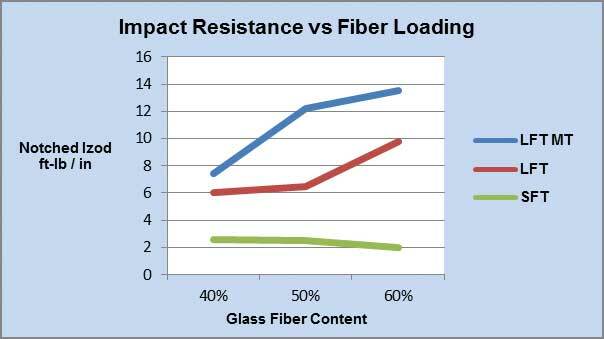 The chart illustrates impact resistance at 73°F and for reference includes short fiber polyamide (SFT) performance. LFTs also have excellent cold temperature impact resistance down to -60°F. 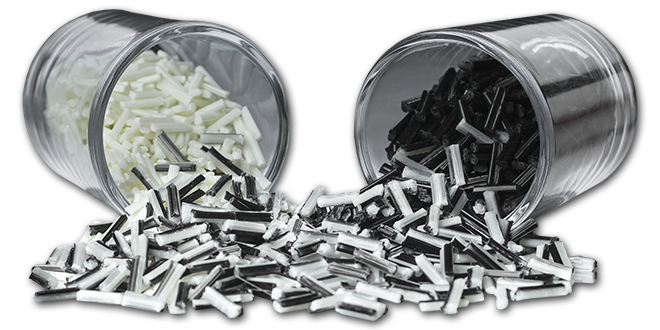 Complet thermoplastic composite pellets, produced by PlastiComp with LFT technology, are made for the injection molding market in standard as well as custom formulations. To assist customers with starting and completing their projects PlastiComp can provide advanced technology part molding and contract research and development.